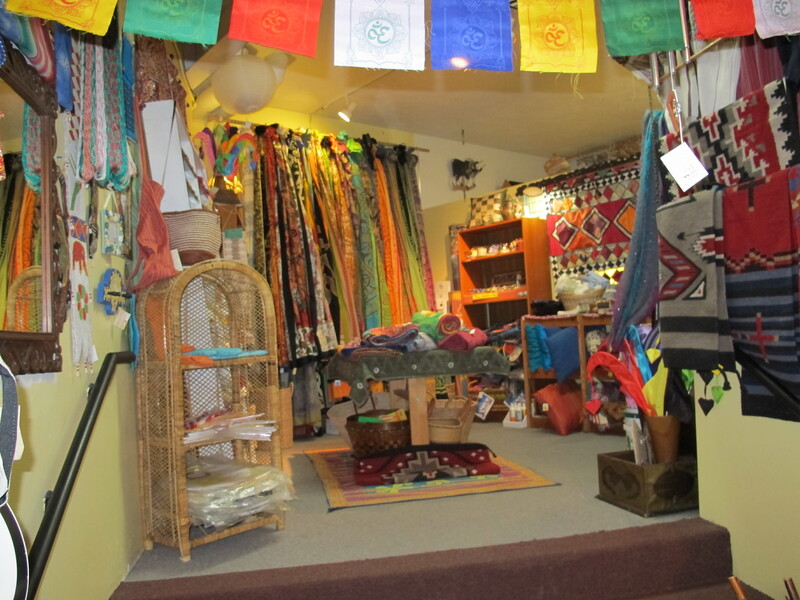 The brightly colored fabrics lining the far wall are from Katmandu. The small tin boxes covered in sparkling jewels scattered across a shelf came from Thailand. Bright red, green and yellow ponchos are neatly stacked beneath rows of matching hats that were hand woven in Peru. 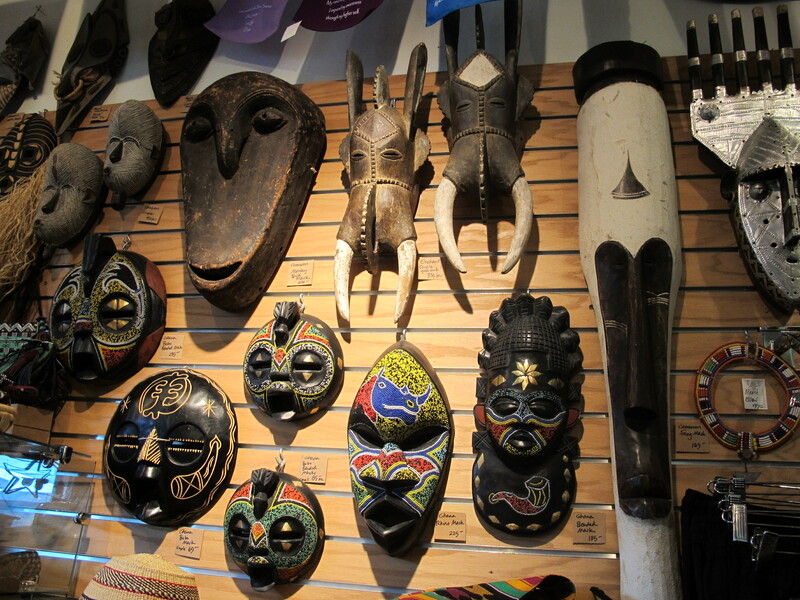 Wooden animal-like masks hanging along the adjacent wall are from small villages in central Africa. An eclectic mix of jewelry, crafts, textiles and paper products line the shelves and stack up beneath the counter where Joanie Kleban sits patiently behind a register. Her ears, neck and wrists are adorned with colorful beads and brass bangles that complement her equally vibrant clothing. Kleban has owned the store Greater Goods in downtown Eugene for 22 years, but has been importing craft goods from around the world for more than 30. 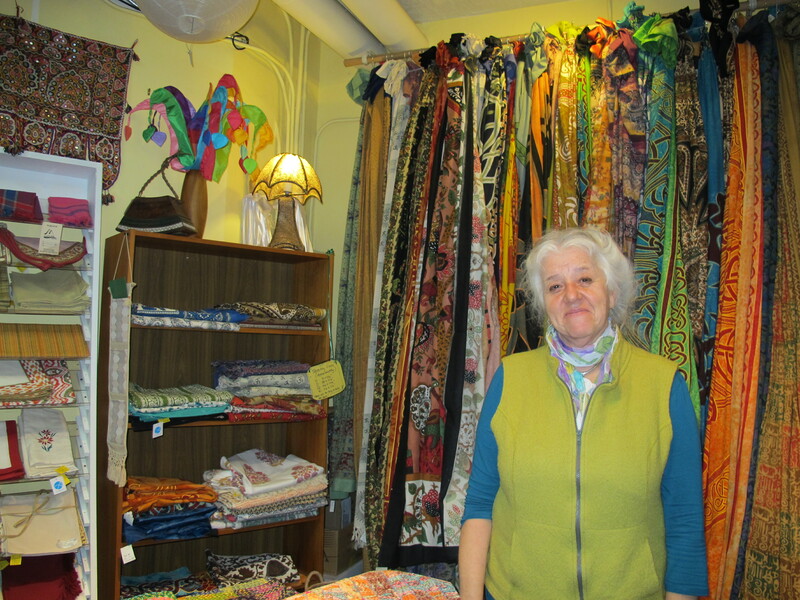 She and her partner began the company out of their home garage in the 1980s after developing an interest in fair trade and a desire to support international artisans from rural villages by importing their crafts. She has traveled to Central America, Canada and Indonesia, but is “more interested in the idea of supporting international artisans and bringing some of that culture to the country,” than traveling herself. One thing that separates Kleban from other importing business, she says, is her strong moral standards regarding fair trade. Often times businesses will make deals with international artisans to purchase larger quantities of goods for a cheaper price. Kleban however, doesn’t agree with the ethics behind this business method, and believes that she should pay what the artisans ask for without exception. That is what fair trade is to Kleban. Kleban says that fair trade has great economic benefits on developing communities because it gives artisans a steady and dependable source of income that they would otherwise not have. It can give them the opportunity to send their children to school and give them access to healthcare, which is often times provided by the companies who import from them. Take for example, a small village in Katmandu, Nepal that exports handmade textiles, jewelry, hats, journals, paper crafts and clothing. Kleban says that the importing business has set up a health clinic in the village, which is a 3-day trek from the closest road, making previous access to medical care very difficult. The business is providing healthcare to the community and serving local civilians who have never had healthcare before and saving lives that would have otherwise been lost. “It’s the main reason why I do this,” Kleban says. Importing goods directly from the international artisans bonds businesses to the villages the goods come from, which in turn makes the importers feel more socially responsible for the community’s wellbeing. A shopper in Greater Goods, Laura Krogman, felt that supporting businesses that are ethically responsible is an important part of where she decides to shop. But it’s a struggle to survive as a small business in today’s economy, as many local businesses in Eugene have been disappearing in the course of recent years. She emphasizes the importance of supporting locally owned businesses and adds that buying from a local merchant re-circulates that money back into the community six times more than buying it from a store that imports its goods for cheap prices from countries in Asia. “There’s a lot of poorly made products coming from Asian countries that don’t support us in a way that is sustainable,” she says. That isn’t to say there aren’t exquisite and unique products that come from Asia, just not the ones that are pouring out of factories in mass quantities, she says. If people begin to understand the significance of supporting international artisans through businesses that adapt to standards of fair trade, through Kleban’s eyes, it could make all the difference. The woven rugs, cloth dolls, painted paper goods and array of trinkets scattered across the shelves of Greater Goods traveled from every corner of the world before arriving in Eugene to tell the stories of the countries, cultures, communities and people that made them. Joanie Kleban makes her way around her shop, stopping to pick up various products and explain where they came from and who they were made by. She knows all of their stories, and has dedicated her life to bringing these small pieces of the world to her Oregon community.